Some 50 years ago my wife and I faced a challenge of considerable proportions. It was a challenge of belief. We were raised in a Christian family and we regularly went to church on Sunday. We both took an active part in the local congregation and we enjoyed the fellowship and the friendship of other young families and friends. We were content with our lives. We had two delightful children, we had a new home, I had a good job and, by all accounts, our future was bright, and secure. Then the unexpected happened. 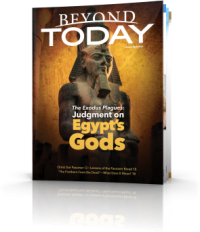 In response to an advertisement in Reader’s Digest we received a booklet entitled: Which Day is the Christian Sabbath? We asked for it thinking it may contain helpful biblical teaching. However, to the astonishment of my wife and me, the booklet stated, with scriptural support, that the Christian Sabbath was not Sunday but Saturday. The explanation the booklet contained really challenged our belief regarding Sunday. 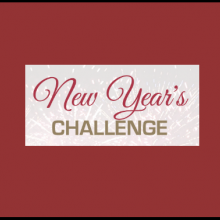 We wanted to ignore this challenge but decided there would be no harm in doing an in-depth bible study on the subject – just to prove which was right – Saturday or Sunday. We spent some months studying the subject of the Sabbath day, reading and referencing every relevant scripture. We examined both Catholic and Protestant teaching on Sunday observance, as well as the understanding by a couple of 7th Day Sabbath keeping organisations. At the end of it all we had no scriptural defence to continuing to observe Sunday as our day of worship. We were convinced that the Biblical Sabbath is indeed Saturday (the 7th day of the week). Now became our greatest challenge. The ramifications of embracing the 7th day Sabbath (Saturday) on us as a family were significant. It meant withdrawing from the fellowship of a church with which we had been actively associated for as long as we could remember. And what would our church friends think of us? Would our families who also worshipped on Sunday be gravely concerned thinking that somehow the wool had been pulled over our eyes? It also meant that, in order to refrain from work on the Saturday Sabbath, I would have to resign from my job and find other employment – which I subsequently did. The financial ramifications on us as a young family, with a home mortgage and living expenses just to maintain our livelihood, were considerable. The decision to observe the 7th Day Sabbath was not taken lightly but we decided that, in order to honour God by keeping His Commandments (all of them) (John 14:15; 1 John 2:3-4), we must take this step of faith. We stepped back from the Church where we had been attending and began keeping the Biblical Sabbath and have done so for the past 54 years. We have never regretted this decision. This is not to say that our life’s journey in keeping God’s Sabbath has been without difficulties and trials. When you swim against the tide, the going at times can be tough. When you step outside of mainstream Christianity, there is some name calling that is not very complimentary. But observing the Sabbath from Friday sunset to Saturday sunset requires a step of faith in God and being more concerned with His opinion than anyone else’s. God set the example for us when He rested on the seventh day of creation (Genesis 2:2-3). He showed us by example that He designed it to be a holy day on which to rest for the whole day. 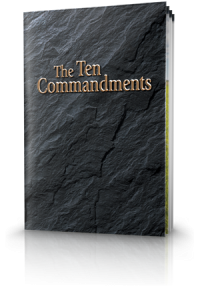 This instruction is embodied in the Fourth Commandment (Exodus 20:8-11 and Deuteronomy 5:12-15). But following our Lord and walking in His footsteps was never tooted to be a life of ease and smooth sailing. But one thing is certain. God never does anything without purpose and motivated by His love for us. Our Lord said: The Sabbath was made for man (for mankind) (Mark 2:27).The Sabbath was a special creation -- a regular special place in time each week that God has set aside for us specifically to get to know Him better. The Sabbath is a time to stop normal activity at sunset on Friday evening and enjoy a 24-hour day to be physically rejuvenated, and spend some quality time with our Father in heaven through prayer, the study of His Word, and fellowship with others of like mind. And what greater blessing is there for any human being than to have a personal relationship with the One who created us and ordained for us His divine purpose – to take on His divine nature and become sons and daughters in His family (2 Peter 1:4). Some 54 years ago my wife and I took up the challenge of Saturday vs Sunday. If you go to church on Sunday -- just as we did those many years ago -- are you prepared to take up the challenge and prove which day truly is the Christian Sabbath? 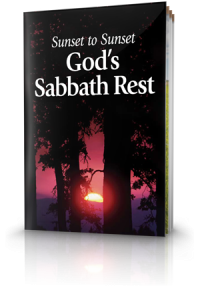 If you are not sure where to start, why not read and study our free booklet Sunset to Sunset – God’s Sabbath Rest. You can read it, or download it, online on this website. Or we can send you a printed copy in the post. If you do this, you are in for a life changing experience and a journey of discovery that is simply exhilarating.